Only 1d 4h 8m 52s left! One of my personal pleasures of attending the SIGGRAPH convention every year is the opportunity to see and browse through the various displays of CGI/Animation-related books. Having them all in once place is such a treat because you are seeing the very latest books and can actually handle the books, check the table of contents and determine if the book is right for you. This is especially true on the convention floor, where top publishers like Focal Press and Morgan Kaufman have their best books on display, along with knowledgeable staff to answer questions (and offer a small discount). This last SIGGRAPH, I managed to cram in a few hours of browsing in the well-stocked SIGGRAPH bookstore where I ended up buying an instructional DVD from Eat3D.com on the use of scripted sequences (Kismet) in the free Unreal Development Kit. Then I wandered down to the Focal Press booth, and after an hour of browsing, bought two books: one on 3ds Max and another on hybrid animation (a subject I've been intensely interested in for years). I've very much enjoyed working my way through each book since SIGGRAPH ended in August and would like to share with you my short reviews of them. Each book presents their topic in a different style, but both of them do exactly what good books do: help the user understand the ideas behind their topic, give the user practical tools and point the user towards further learning on their own. Let me share with you how each of these excellent authors manage to make their books so interesting and helpful. The Focal Press "How to Cheat in …." series is up to a dozen or so books now, covering programs like Motion, Adobe Flash, Maya and the book we are looking at today, How to Cheat in 3ds Max 2011. I was looking for something to help me with practical tips for Max 2011, as I've recently come under the spell of this great 3D program, but was turned off a bit by the title; do you really cheat in Max? Well, the author jumps to her definition of 'cheat' on the first page with it's original definition: "passing an inheritance to someone other than one's heirs." And the definition certainly fits as the author, Michele Bousquet, is an acknowledged expert on 3ds Max, having used the program from it's first release and gone on to become a Certified Trainer with Autodesk. 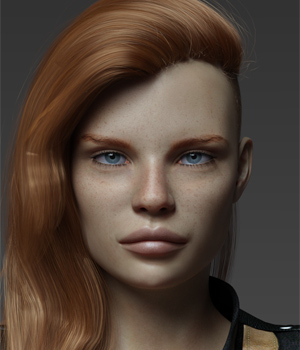 She certainly is passing on her learning and skills from authoring over 20 books on 3ds Max. Plus, she lives in New Orleans, one of the great cities of the world! How to Cheat in 3ds Max is probably the easiest book to read of the two books being reviewed. The writing style is personal and direct. The author clearly knows 3ds Max backwards and forwards and shares personal methods (the "cheats") for creating instant results in modeling, mapping, lighting, rendering and many other subjects of interest to 3ds Max 2011 users. This book also contains one of the best simple introductions to 3ds Max for a beginner that I've ever read (or seen on video). The no-nonsense approach of the author focuses on practical use of the program and steers away from overly-technical descriptions and processes. Organized much like the workflow of a typical CG project, where you start with the basics of modeling, create textures, light and animate a scene, ending with rendering and special effects. There are 11 well-organized chapters with profuse COLOR (yay!) illustrations that make it very easy to follow a particular lesson. The author has a great sense of humor and I found myself laughing several times as I was working through a project, which helped keep my frustration level low (mostly with myself for clicking the wrong object). This updated version of Michele's previous How to Cheat in 3ds Max 2010, is a superb example of how to write a technical book in a non-technical fashion. She makes learning important aspects of this powerful program a lot of fun. Her attention to detail is impressive, too. There's even a nice list of all files mentioned in the book (with page numbers) for folks who want to scour the book's website looking for interesting files and then find them in the book. The website is simple, but contains almost all of the starter scenes, maps, final scenes and animations provided by the author. You can also check out the full table of contents/chapter list at the site. I highly recommend this book for beginning to intermediate users. You'll not only get a great series of practical "cheats" for 3ds Max 2011, but you'll have fun while you learn. And congratulations to Focal Press for producing such a well-designed and attractive, not to mention, reasonably priced book. It was a nice surprise when I cracked this book open at home that the book was signed by the author who probably came by the Focal Press booth while at SIGGRAPH. Too bad I didn't get to tell her how much I enjoyed Hybrid Animation: Integrating 2D and 3D Assets. She sure has a great resume of experience in feature animation, having worked on Mulan, Brother Bear and Lilo and Stitch, along with stints at Disney and Electronic Arts. She's currently a professor at the noted Savannah College of Art and Design in Georgia. "Hybrid animation is the combination of two-dimensional (2D) and three-dimensional (3D) animation media....probably one of the most memorable combinations of media is found in Warner Brother's Iron Giant where a young boy befriends an alien robot, the robot being 3D in a 2D animated film"
I've been fascinated with hybrid animation for several years now. The creative possibilities that come with being able to combine both 2D and 3D seem to me to be potent and exciting. So, I was delighted to find a book written specifically on the subject. Hybrid Animation: Integrating 2D and 3D Assets is a very different book from the previous 3ds Max book, reviewed here, as it's a more in-depth examination of the topic. Tina O'Hailey, the author, takes a fairly academic approach to the two main parts of the book, but certainly not in any dry text-book fashion. In Part One, the author details just what hybrid animation is, the problems associated with combining 2D/3D assets and hands-on examples. There is fascinating discussion of researching a visual style for your film and for how to "isolate the most important and strongest storybead/storybeat moments in the film" which, in turn, help in "working out the pipeline issues, isolating technical hurdles, and deciding what it will take to get the shot done and make it look good." Basically, you have to know your story and its important story/character moments in order to determine how to use hybrid animation effectively. While Part One nails down the foundation ideas for the book, Part Two is the practical, how-to (and longest) section of the book. Titled simply "Techniques," there are 5 chapters, starting with "3D Character Leads 2D Character," and moving through various combinations of 2D/3D character interaction to end with "EFX" and "Camera: Flat, Limited and Deep Space." The final chapter, "What Next? Companion Website," tells you how to use the excellent website and Facebook page for the book. The "Technique" chapters go into very specific detail on how to combine 2D/3D in specific combinations, using software like Maya, Photoshop, Toon Boom, Flash and After Effects (among others). The projects are step-by-step with lots of helpful information on importing/exporting 3D objects, rendering and blending 2D/3D assets so that they look like they belong in the same imaginary world. Each chapter ends with important follow-up info, like further reading, specific skills learned in the chapter and student contributions (of which there are many). Although this book was slower to work through, I found it very helpful in learning more about how to combine different assets in 2D/3D. I was particularly impressed with Chapter seven and it's focus on "Flat, Limited and Deep Space." An extremely helpful introduction to camera movement and space in animation scenes, I found myself wanting to rush right to a project I've been working on to make adjustments immediately after I finished the chapter. It's a real gem of a chapter on how to effectively use space in your animated film. The author's use of stories to illustrate concepts in this chapter (and throughout the book) add a lot of color and interest to what could have been simply technical details. Focal Press has done a great job in producing this well-designed book using large, clear, color illustrations throughout. The illustrations are situated near where the instructions occur, so you don't have a lot of page turning to do as you follow the lesson. And the book lies flat while you work on a section on the computer. Believe you me, this is a great help if you have the book in front of your monitor while you are reading/practicing the techniques described in the book. Aimed at intermediate users who already have some experience in animation, I recommend Hybrid Animation: Integrating 2D and 3D Assets for anyone interested in expanding their animation skills and creative imagination. The author (with the help of many of her students) has written a slightly dense, but very interesting and detailed book on combining 2D and 3D in the same project. The learning curve is a bit high, but it's worth every minute of time spent reading and working through this excellent book. For these and other great books, be sure to visit the Focal Press website. Ricky Grove [gToon], Staff Columnist with the Renderosity Front Page News. Ricky Grove is a bookstore clerk at the best bookstore in Los Angeles, the Iliad Bookshop. He's also an actor and machinima filmmaker. He lives with author, Lisa Morton, and three very individual cats. Ricky is into Hong Kong films, FPS shooters, experimental anything and reading, reading, reading. You can catch his blog here.